We loved our winter container gardens from last year, so we decided to convert our summer containers to winter containers to continue our front porch color. 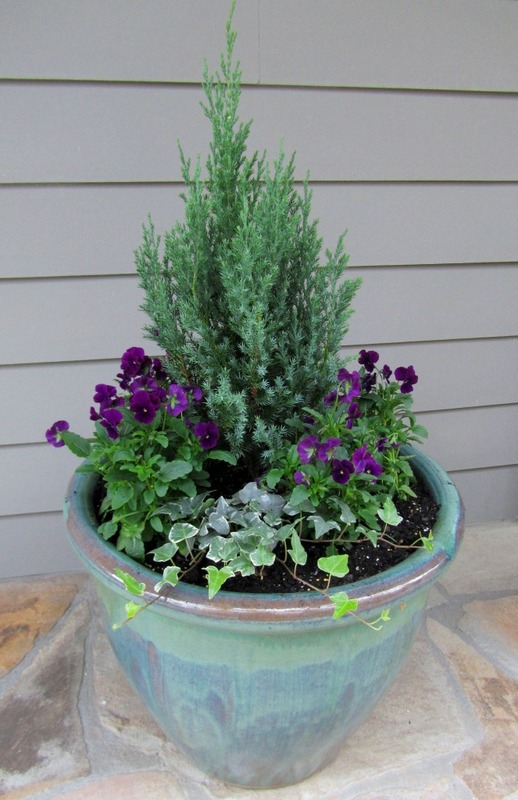 Our winter container garden from last year with a small evergreen, surrounded by winter pansies and trailing ivy. We live in Georgia so we have more options than you may have in more northern climates. Ceramic and clay pots can crack in the cold, so you may be better off with those lightweight polystyrene pots that look like stone or ceramic, or maybe wooden or concrete containers. 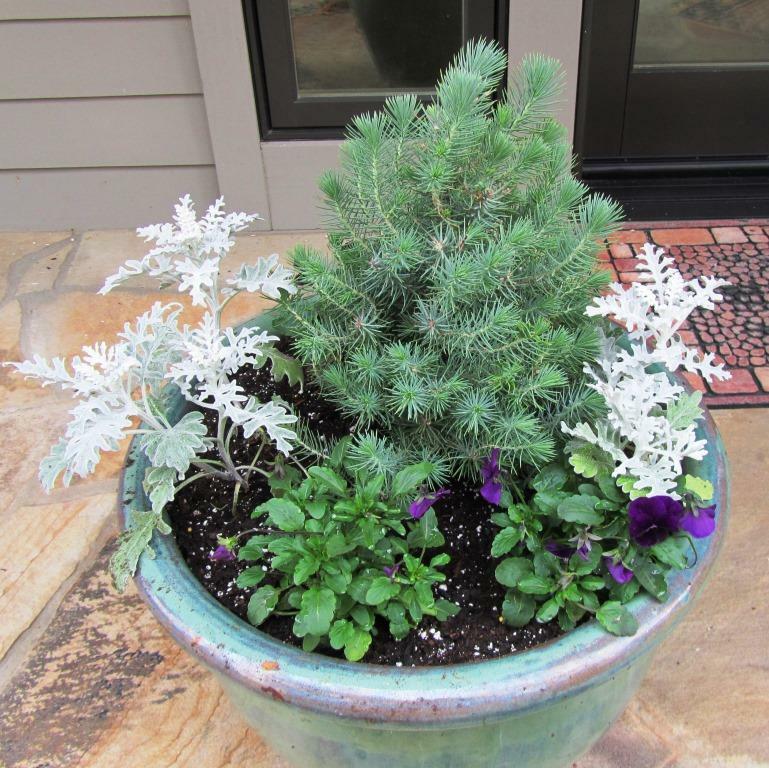 Choose plants that look good together, and will survive the winter months. Keep in mind the three shape rule: Tall plants in the middle, round and full plants around them and cascading plants down the sides. If you do not want to copy the planting that Rita and I did, how about a dwarf holly with primrose or flowering kale? A selection of small evergreens of varying heights will look wonderful grouped together, and you can even put some holiday decorations on them for a festive touch. Now the nice thing about winter container gardens is that they don’t need much care as long as you use a good soil like we did. Even though we were tempted to use the old soil in the pot from previous plantings, we know it is best to start off with fresh soil. We used Miracle-Gro Moisture Control Potting Mix. This special mix helps keep you from over and under watering, and best of all it contains enough feeding to make it thru the first few months. And best of all, come spring you can plant the evergreen in your yard. Thank you! My bizzie Lizzie are just finishing and the pots are/WERE in the doldrums. You’ve given me inspiration to change them into winter displays at very little cost.